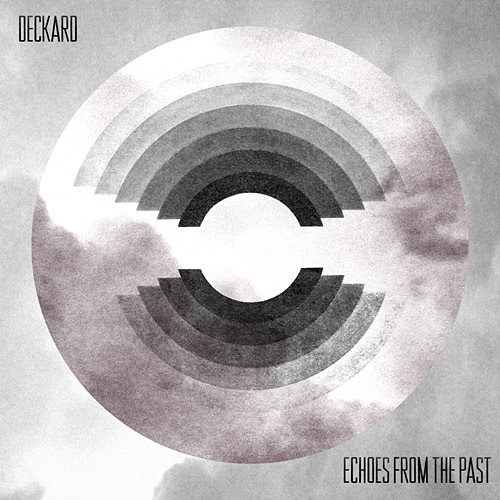 Deckard "Echoes From The Past"
Just a few months after the release of his successful debut double LP “For A Better Tomorrow” and his singles “Andromeda” and “Günesim”, Deckard is ready for the next strike. “Echoes From The Past” is an unreleased album that was produced during the years 2000 to 2005 and is finally ready to drop in September this year. After some dusting off, polishing and re-mastering, the 9 tracks sound as contemporary and fresh as back then. Deckard himself calls it “Instrumentals out of a time when beats where still beats” – classically arranged drums, assembled with futuristic sound elements – already making up the classic dark sound that Deckard is now known for. The travel into time past starts with “A Black Hole (Part 2)”, a deep and hauling tune, that, as the name promises, might be able to absorb you entirely. The following track, “Defunked”, is a more club friendly but equally deep song that hasn’t lost any of its freshness over the years. Next up, „Haunted Beats“ and the title track „Echoes From The Past“ are more classical, “triphoppy” and dark, reminiscent of some of the early heroes of the genre such as Krush, Spooky or DJ Cam. Listening to the following tracks, it shows how far Deckard’s production and arranging skills were already advanced at that time: The grooving “Endzeit” paints images of gloomy machine halls in the year 2050, “Gedankenjäger”, German for “mind hunter”, is hypnotic but yet pushing, “Shadows” saws into your ear canals with distorted bass sounds, while “Slow Body Movement” offers a few more soulful and jazzy shades and concludes the album to full satisfaction. „Echoes From The Past“ includes 9 tracks, while a bonus track is offered for the vinyl buyers. The limited LP release additionally is sold as a bundle package that even contains a second unreleased album from Deckard’s vast archive entitled “Underground und Subkultur”. „Echoes From The Past“ is releases as part of a two-piece “Unheard & Recovered” series on Equinox Records. Part 2 of the series will be the unreleased solo full length by DJ Scientist, an equally deep and meticulously produced album with great unheard material from his archives. Afterwards, it temporarily got more quiet around Deckard – his newly started studies as a sound engineer gave him less time to work on music. However, during that period he was able to redefine his style - in more ways than one. Between 2006 and 2008 a couple of new tracks and remixes were released that left marks. For example, he released the breakbeat tune “Dignity Of Men” on the “One Year & A Day” series that later even made it to a DJ Food mix. Furthermore, on this 12” single and the album, he shared space with producers like Free The Robots, 2econd Class Citizen, Brenmar or Deadpan Darling. For the last-mentioned artist project, that exists of Blue Sky Black Death and singer Ceschi, he was additionally invited to remix the song “Laughtrack”. On this track, as well as for rappers like Audio88 or Bushwac, he proved his ability to work with vocals and also to remix songs.